Kolkata Knight Riders have decided to send West Indian off- spinner Sunil Narine for another test of his bowling action after match officials expressed "concerns" over "fair amount" of deliveries the off spinner bowled in the match against Sunrisers Hyderabad on Wednesday in Visakhapatnam , Cricinfo has reported. "If Narine is called a second time, he will be out of the IPL and hence the franchise wants to play it safe and not risk playing him in the upcoming matches without the test," the website stated. 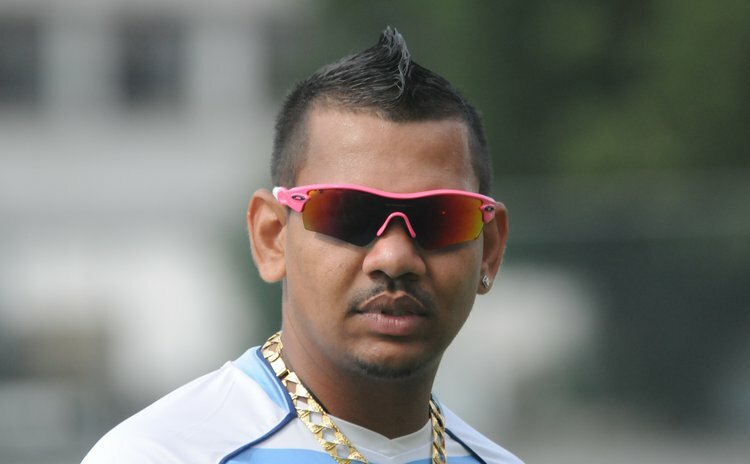 "This will be the second time Narine will be travelling to Chennai this month having already received a clearance from the BCCI's sub-committee on suspect action days before the IPL started". Earlier, Narine obtained clearance after testing at the University of Loughborough on March 10. According to an official privy to the matter, the on-field umpires Richard Illingworth and Vineet Kulkarni reported to the match referee having doubts about a few deliveries Narine bowled against Sunrisers, who won the rain-affected match by 16 runs, Cricinfo reported.